It’s been awesome last few weeks and we have got awesome response on Crunchify Forum powered by Discourse. With over 1 billions users on Facebook it’s really handy and beneficial for Forum admin to add Facebook login button. With single click any Facebook user can signup for forum. Here are the simple steps on how to get started setting up Facebook Sign Up button. 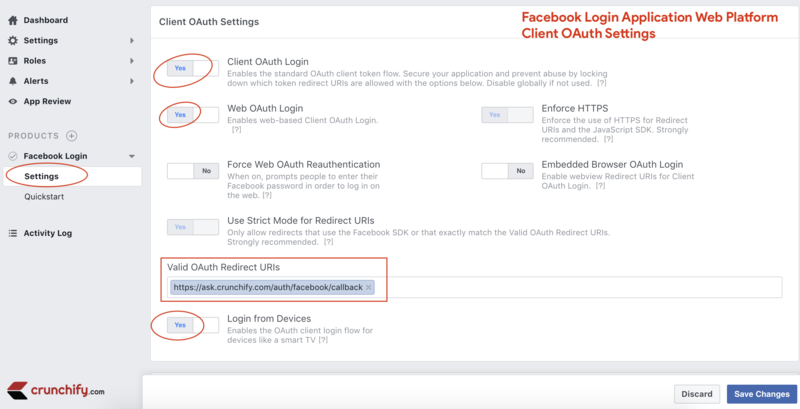 Configuring Facebook login for Discourse. Go to Facebook for Developer site. You should see list of Product on next screen. From Product Page select Facebook Login and click Set Up. 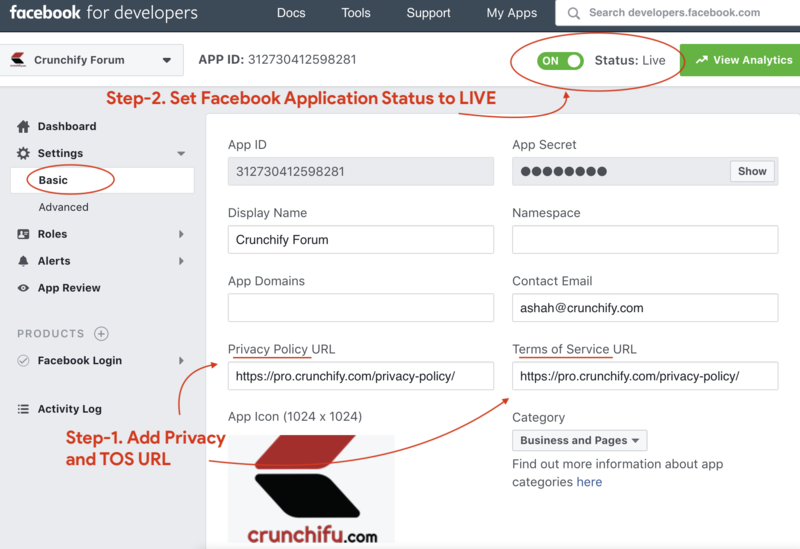 Next you will see a question asking for: Use the Quickstart to add Facebook Login to your app. To get started, select the platform for this app. Select WWW Web as your platform. Select below settings for Client OAuth Settings. Just refresh your forum and click on Sign up to see Sign Up with Facebook button.